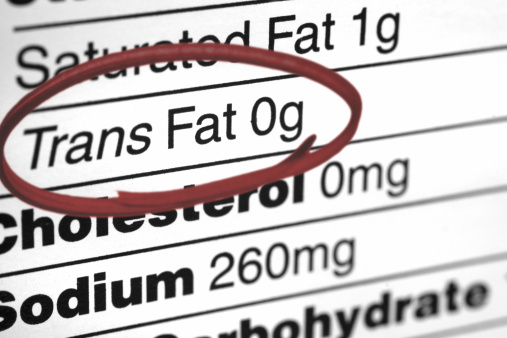 Are all trans fats bad or are some good for your health? Home » Healthy Eating » Are all trans fats bad or are some good for health? Are all trans fats bad or are some good for health? We know there are bad trans fats – which the FDA has banned – but are there some good trans fats similar to other healthy fats? Trans fats are typically man-made and commonly found in hydrogenated vegetable oils. This variety of trans fat has been shown to have zero nutritional or health benefits – unlike other varieties of healthy fat. The FDA recently designated trans fats as unsafe for consumption after numerous studies linked their consumption to bad cholesterol, which can ultimately lead to other health complications like heart disease. Many doctors agree that trans fats are bad for your heart and are ultimately the worst fat you can consume. Trans fats increase your bad cholesterol (LDL) and lower your good cholesterol (HDL) which makes for a harmful combination. Trans fats can naturally occur in the foods we eat, such as meat and dairy, so avoiding them altogether is near impossible – unless you’re vegan. Foods that contain hydrogenated vegetable oils have longer shelf lives, and the oil can be used over and over in deep fryers, making it a popular choice in restaurant settings. Even though much information has come to light about the downside of trans fats, a new study suggests there may be good trans fats – which our bodies actually need. As mentioned, naturally-occurring trans fats can be found in meat and dairy. German researchers have found that the naturally occurring trans fats are actually beneficial for heart health and do not pose a risk to health. Although much research has revealed that trans fat added to foods can contribute to bad cholesterol, heart disease and even infertility, little is known about naturally-occurring trans fats commonly found in meat and dairy. To achieve their findings, researchers measured concentrations of trans fats in the membranes of red blood cells from 3,300 heart patients in Germany. Over the course of 10 years of follow ups, 30 patients died. Results revealed that those with high levels of naturally-occurring trans fats were 37 percent less likely to suffer a sudden cardiac death in comparison with those who had low levels. On the other hand, researchers found that artificial trans fats did not actually increase the risk of death. This may shock you, but it’s important to note that the German patients had much lower amounts of artificial trans fats in their body compared to Americans. In comparison, artificial trans fat in the German patients was below one percent, whereas levels of 2.6 percent concentration have been seen in Americans. Natural trans fat are produced in the stomachs of animals including cows, goats and sheep. The milk and the meat from such animals is how we ingest trans fats. It is also important to note that due to mass production, much of the beneficial trans fats become lost, so animals which are organic and grass-fed will provide you with the highest amounts of healthy trans fats. One naturally-occurring trans fat is called conjugated linoleic acid and has been marketed for its weight loss abilities. Other notable benefits of healthy trans fats include their ability to help with muscle building and weight loss effort – this is why meat protein is often suggested post workout. Now that we have a better understanding of the differences between healthy and unhealthy trans fats, let’s explore more details about the health consequences associated with bad trans fats. Heart disease: Consumption of artificial trans fats has been linked with an increase in bad cholesterol and lowering of good cholesterol. 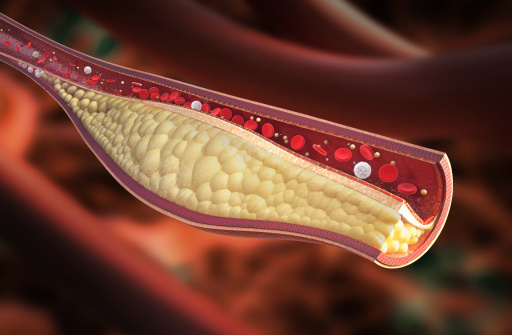 Cholesterol plaque reduces the amount of blood which can pass through the arteries, thus forcing the heart to pump more. This can result in heart damage and heart disease over time. Diabetes: A large risk factor for diabetes is being overweight, and many foods which trans fats are added into are foods which promote weight gain (baked and processed goods). Other studies have found that the consumption of trans fat contributes to insulin resistance, which can lead to diabetes as well. Inflammation: Inflammation is your body’s response to harm and it occurs as method of protection. Although some inflammation is good, chronic inflammation can have negative health consequences. Chronic inflammation has been linked with heart disease, diabetes, arthritis and metabolic syndrome. Blood vessels: Trans fats have been linked with endothelium – damage to the inner lining of blood vessels. Endothelium can lead to many other health complications as well. If you’re at the grocery store and see a packaged good not containing meat or dairy, but see the nutritional label lists trans fats, it’s safe to assume it is the unhealthy variety. Even if a package says trans fat free, it simply means per serving there is less than 0.5 grams. But don’t let that fool you, many of us often exceed the serving size, so we are still ingesting harmful amounts of trans fat. How much trans fat is safe for your diet? The new study unveiled there are large discrepancies of trans fat consumption between populations. Populations consume different diets, contributing to the amount of trans fats we ingest. 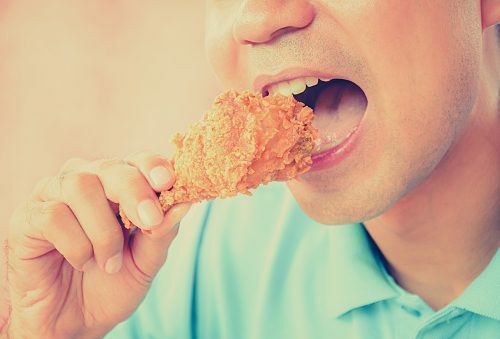 The typical American diet is full of fried fast food, packaged goods and baked goods; for this reason our risk of ingested trans fats is increased. But even too much of the healthy variety can be bad, so it’s important to follow recommended amounts as closely as possible. If you’re consuming artificial trans fats, based on an 1,800 calorie diet a day, you should consume no more than 18 calories of trans fats. Fat contains nine calories per gram, so you are left with two grams a day. Additionally, even though naturally-occurring trans fats are good for us, you should still try to limit your intake of red meat as it has been linked with alternative health complications. Just keep the golden rule in mind: Everything in moderation.